Thread: Geneva Revisited: Why is it called the CX-30? Re: Geneva Revisited: Why is it called the CX-30? And...the splitting of hairs will continue! Now for the size. 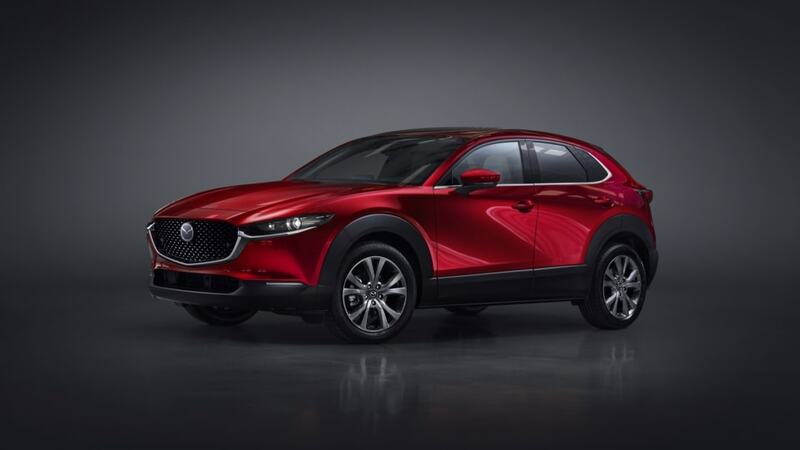 Mazda says it fits between the CX-3 and CX-5, both of which will be sold alongside it for the foreseeable future. But is it closer to one than the other? Length-wise, the CX-30 is 4.7 inches longer than the CX-3 and 5.9 inches shorter than the CX-5. It's also an inch wider than CX-3 and 1.8 inches narrower than CX-5. Interestingly, the CX-30 and CX-3 are the same height, which is 5.9 inches shorter than the CX-5. The CX-30 does have a bit more ground clearance than the CX-3, but only by a few hundredths of an inch. To add some context outside the Mazda brand, the CX-30's size also puts it on par with crossovers such as the Mitsubishi Eclipse Cross, Subaru Crosstrek and Jeep Compass. All of those are sort of in-betweeners themselves. By contrast, the CX-3 is one of the smallest subcompact crossovers and aligns more closely with a Hyundai Kona. I understand their point, and in this environment, it makes a lot of financial sense. But from a design perspective, splitting so many hairs does run the risk of making everything look so much alike, that anything "new" may get lost of the customer. SUVs and crossovers are already (arguably) at a "disadvantage" compared to other segments because there are only so many ways to dress-up and distinguish a two-box shape. Makes you wonder if "something different" is coming down the line to better blend the sedans and crossovers into something "new" (Ford has hinted that they are on their way to doing this, and Honda/Acura arguably stepped in this direction with their now-dead Accord CrossTour and ZDX).